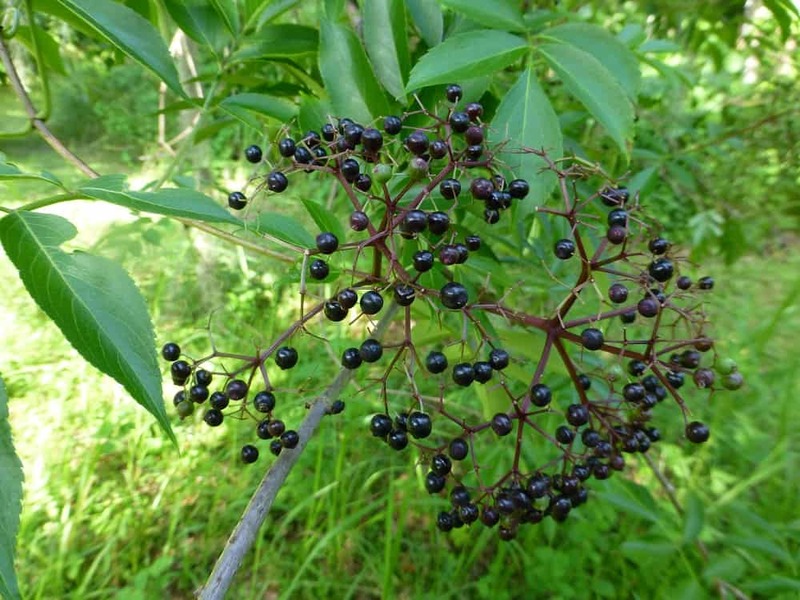 Elderberry fruit can be eaten when it is completely ripe AND cooked. Deep purple is the color of ripe fruit. Fruit can be collected as it ripens and placed in the freezer in baggies until enough has been collected to make your recipes. Don’t wash the fruit beforehand, but just place in a freezer bag. It is best to wash it when you take it out of the freezer and are ready to use it. Washing it will cause it to collect ice crystals and freeze in clumps rather than individual berries. Place your elderberries in a strainer and remove the green ones. Rinse and set aside to drain while you prepare the rest of the dish. 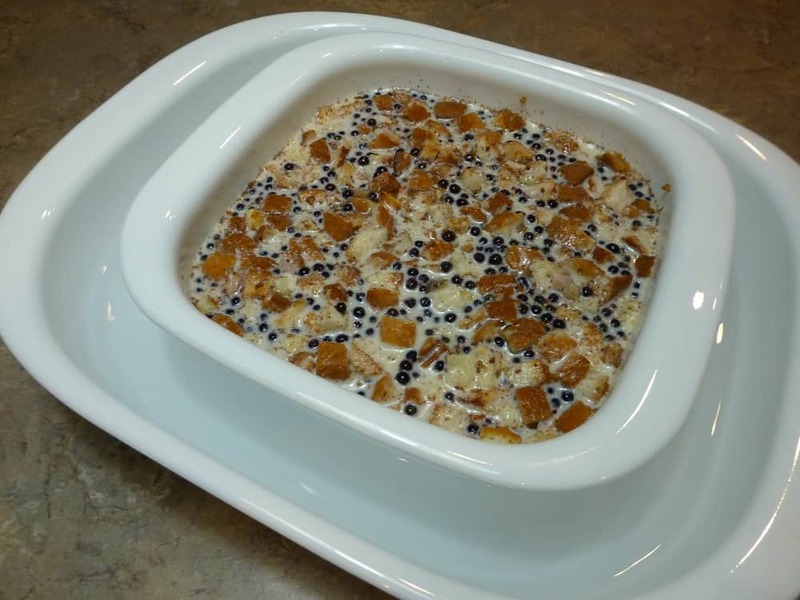 If the berries are frozen let them thaw out and drain thoroughly before adding to the recipe or they will add too much liquid to the finished dessert. Toast bread slices in the toaster and then butter generously. Stack the toast and cut into ½ to 1 inch cubes. Place bread cubes into a buttered 1 ½ quart baking dish. Mix eggs, sugar, cinnamon, nutmeg, vanilla and salt in a separate bowl. Gently mix in the elderberries. Pour this mixture slowly over the bread cubes. 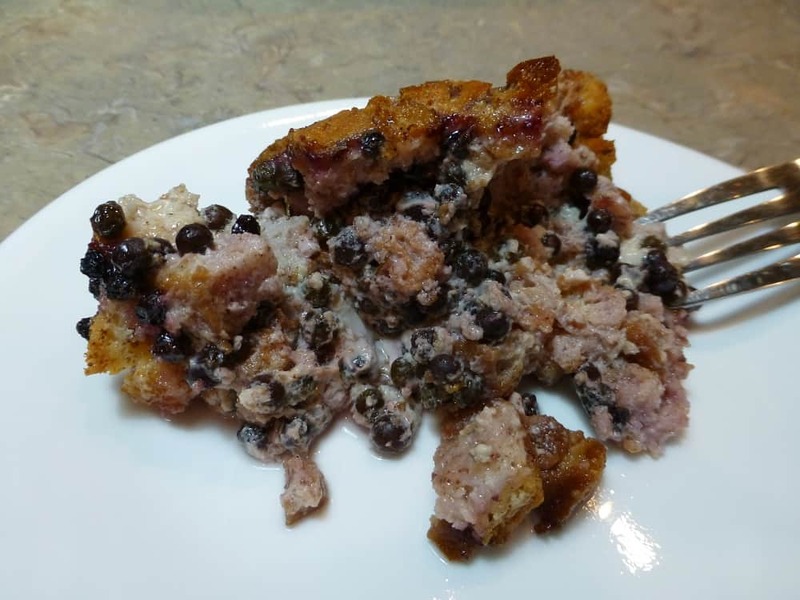 To keep the pudding from browning too much and becoming too crisp around the edges it is best to bake it in a larger casserole dish of about 1 inch of water. Bake uncovered for 60 – 70 minutes or until a knife inserted into the center comes out clean. Cool slightly and serve with whipped cream or ice cream.